Personalized letters carved from lino is something I started in May when it was my friend Terri’s birthday. Making gifts has become more rewarding rather than spending hours deciding on what to purchase. Creating is fun, why not share it. Setting up for the carving and printing was routine for me, the project was fun and went quickly. I felt so good about the letter I thought I’d make my initials and frame them, but wait! There are 23 more letters left in the alphabet that I can add to my collection, oh I can hardly wait to see how I’ll display the alphabet once it is complete. 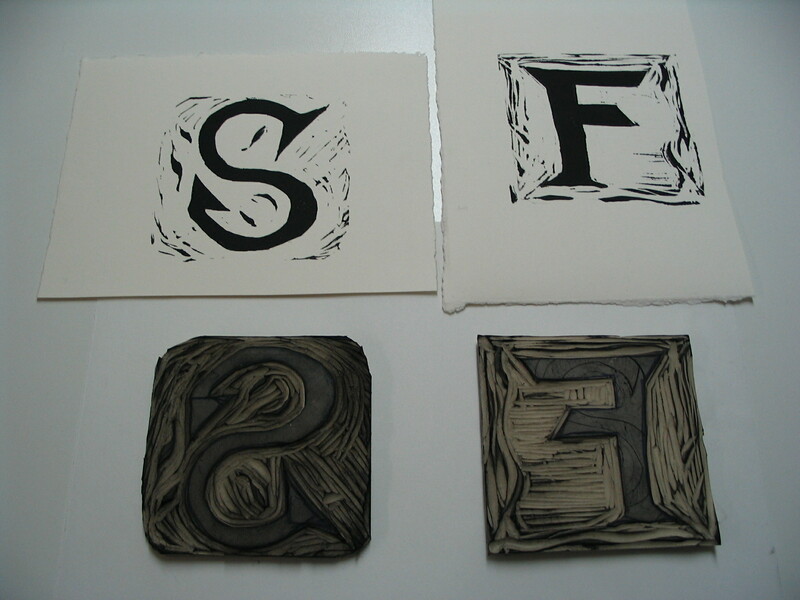 Here are the carved lino blocks with the letters. A few hints; carve the letter backwards so that when you print the letter will read correctly, then enjoy the carved marks, they are personal touches to your creation. 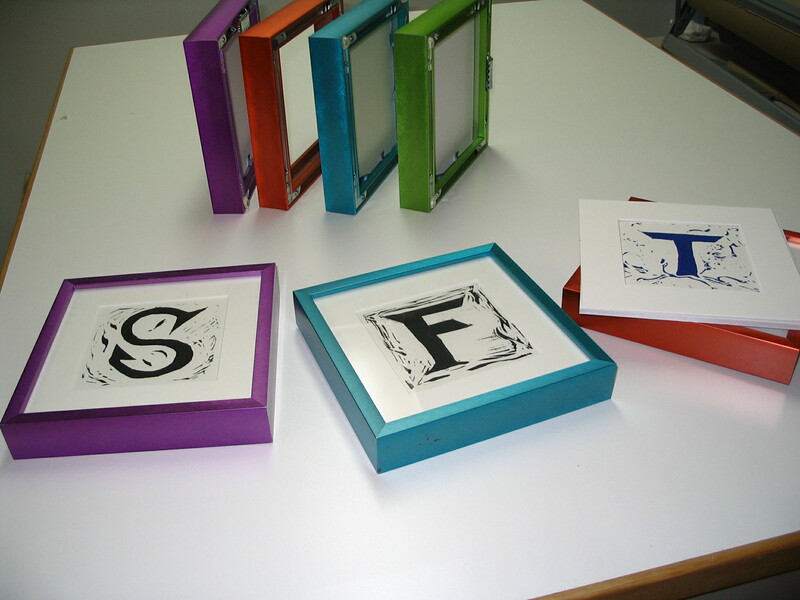 Nielsen Moulding has a colourful selection of metal frames. These photos display the flat top profile in brights; Amethyst, Cyber Green, Tangerine Twist and Turquoise. You must check out the many other choices at Nielsen Metal Mouldings, and feel free to comment on colour choices for each letter. Wonderful letters – but of course I am slighly biased in that opinion! I enjoy your blog and have nominated you for the Sunshine Blogger’s Award. Details can be found at timetobeinspired.wordpress.com. Congrats to you on your prestigious award. Very funny! Cause now it’s congrats to you on your prestigious award!